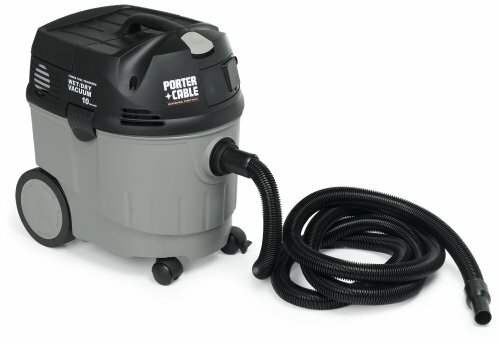 The Porter Cable 7812 10 Gallon Wet Dry Drywall Sander Vacuum has a 10 gallon capacity and its efficient extraction of dust and dirt are unmatched. This vacuum has a 9 amp motor, large wheels for easy mobility and dual filtration, among other features. Manufacturing a full line of power tools, equipment and accessories, Porter-Cable provides a product for every situation. From new home construction to building maintenance. From farms to upscale woodworking. Everyone from seasoned professionals to casual weekenders are putting Porter Cable tools to work whenever they want the job done right. Standard Equipment: Vacuum, hose and operating manual.